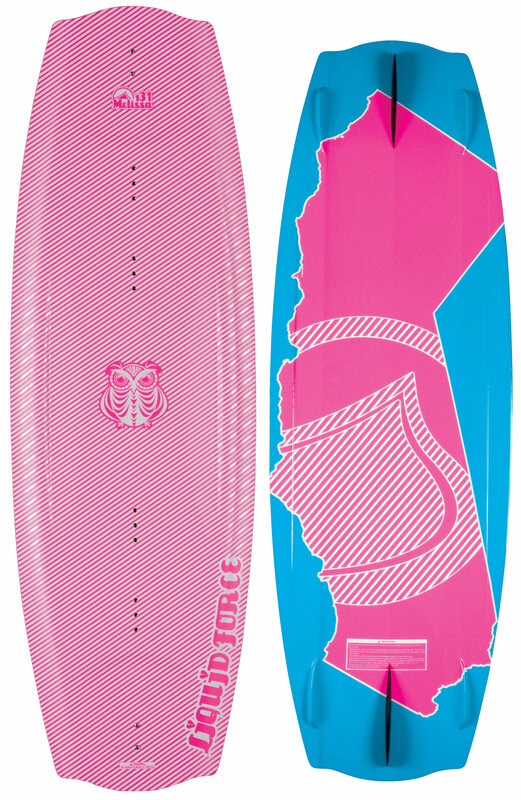 The Liquid Force Melissa Wakeboard for women is the board of the one and only Melissa Marquardt, designed with versatility and performance in mind. The board features a continuous rocker for clean transitions and 4 molded side fins that provide stability. With D.I.S.C. (Double Inside Single Concave) technology running through the hull of this foam board, it will land smoothly while maintaining plenty of speed. The Melissa Wakeboard is the perfect choice for any rider looking for a serious upgrade. Can accommodate bindings with a 6in binding plate found here. Can only accommodate a single mounting position option for Liquid Force bindings with a 8in binding plate and offers two positions for all other vendors found here.